We can provide Prostate testing,Multiparametric MRI and transperineal template prostate biopsy. Urolift , TURP, TURis (bipolar TURP), LASER prostate surgery, PAE (Prostate Artery Embolisation), Pearly penile papules treatment. We can help with Testis positioning, Hydrocoele, Inguinal Hernia, Foreskin Problems. Already on waiting list for the NHS? Dont wish to wait? Choose your own date with our guaranteed surgeon. Mr George Yardy is a Consultant Urological Surgeon practicing at The Ipswich Hospital NHS Trust and Nuffield Health Ipswich Hospital. He trained in medicine at St George’s Hospital Medical School, London, and graduated in 1997. He undertook research into prostate cancer at the John Radcliffe Hospital, Oxford. His Urological Surgical training was all in the East Anglia region, including Cambridge and Norwich. He is experienced in the assessment and treatment of a wide range of general urological conditions and his specialist interests are in prostate cancer and other prostate problems, infertility and vasectomy reversal, urinary incontinence and pelvic pain, and paediatric urology. Already on waiting list for NHS? Want to have the operation reversed? Mr George Yardy is considered an expert in many fields of Urology. As an Honorary Senior lecturer at the University of East Anglia, he is trusted with training the next generation of surgeons. Whilst it is inappropriate to discuss medical issues of other patients, you can read below some recent patient feedback on their treatments. On 05 September you performed an operation for me. I am writing to thank you and your team for your professional care and support. The wound has healed completely and the operation has made a huge difference to my life. Dear Mr Yardy, This letter is to say thank you for the care and attention you gave my mother, Mrs P.L., in March. She is now a different person – she is much brighter and no longer has the pain and discomfort she had been experiencing. Dear Mr Yardy, Thank you so much for your help with our son. Your speedy and decisive treatment was so much appreciated. He has made a full recovery and is back to old form. Dear Mr Yardy, I would just like to thank you personally for your efficiency in dealing with my problem, and also your support staff. I have been most impressed with your courtesy and assistance. Dear Mr Yardy, Just a quick note to say a BIG thank you to you and your team for your care and attention with my vasectomy on the 28th. Everyone at every point of the day was absolutely fantastic. Mr Yardy sees private patients who have health insurance with any of the major insurance companies. He also sees self-paying patients – please ring the booking line (01473 279123) for information about costs. Rezum is a treatment which uses steam precisely delivered to the prostate to destroy prostate tissue to relieve blockage caused by BPH. The procedure only takes a few minutes and men can go home the same day. There are few side effects and quick recovery. Mr Yardy uses the “no scalpel” Vasectomy technique. This allows the procedure to be performed under local anaesthetic through a single puncture in the scrotum with less bleeding and discomfort and a quicker recovery time than the conventional procedure. Microsurgical vasectomy reversal is also offered. 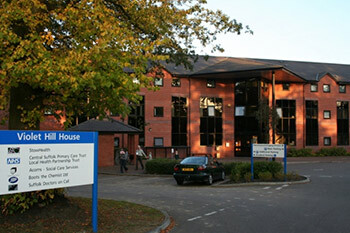 Framfield Medical Centre and StowHealth. 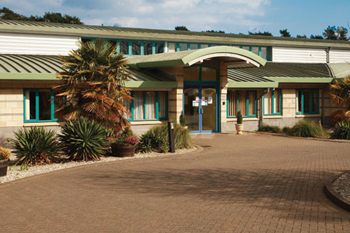 This distinctive building has a very accessible location in Woodbridge – just off the A12. There are well-appointed consulting rooms and treatment rooms. Convenient evening appointments are available.Children and adults can be seen here. 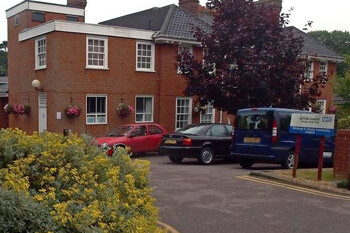 This is the only hospital in East Anglia treating only private patients. The hospital is in a tranquil woodland setting on the edge of Ipswich. The outpatients area has a relaxed contemporary style which puts you at ease. You will have plenty of time for a thorough assessment and discussion of your symptoms, diagnosis and treatment options. The radiology department offers the full range of scanning including the latest multiparametric MRI. There are five fully-equipped operating theatres. The bedrooms are all en suite and have patio doors or balconies with views of the hospital grounds and woodland. 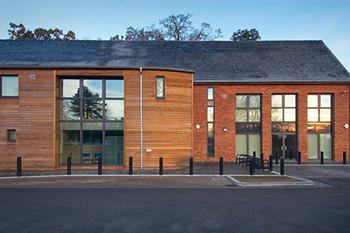 Contemporary facilities on a forward-thinking practice serving Stowmarket and surrounding areas. Children and adults can be seen here. 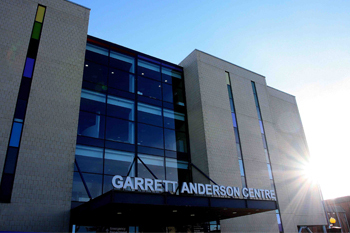 The top floor of the striking Garrett Anderson Centre contains the operating theatres and wards for patients undergoing elective / planned day surgery. The four operating theatres are brimming with surgical technology including a sophisticated ceiling-mounted operating microscope and dedicated children's surgery theatres. Patients have their own beds in individual cubicles on wards immediately adjacent to the operating theatres and recovery area. There is a separate children's ward.